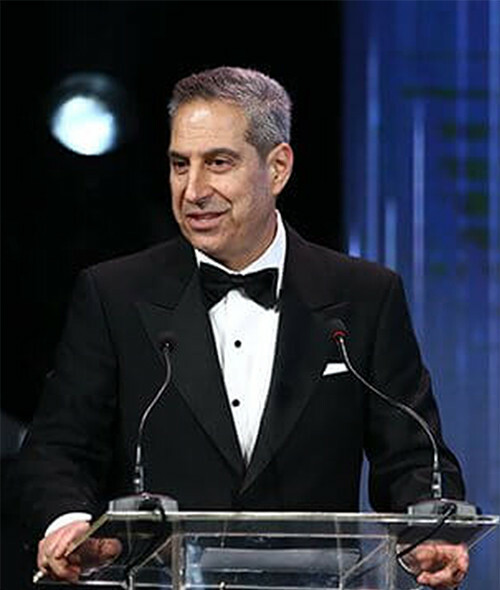 Mr. Selim A. Bassoul is the Chairman of the Board of Directors and Chief Executive Officer of The Middleby Corporation (NADSAQ: MIDD), a leading global innovator of commercial and residential kitchen equipment and food processing/packaging solutions. Under his leadership, Middleby has grown into a global leader with 60+ brands spread across three business platforms. Today, one out of every three restaurants worldwide uses Middleby brands in its commercial kitchen. Middleby has been one of the best-performing stocks on the NASDAQ exchange over the past 15 years. Through his Bassoul Dignity Foundation, he has developed stoves for refugees and personally delivered them to the camps. In June 2016 in Monaco, he received the EY Entrepreneur of the Year Alumni Award for Social Impact, and in September 2016, the Humanitarian Award from the Zoomba Group. He currently shares his experiences around the world, inspiring others to give back. Selim was named on the 2016 Nation’s Restaurant News Power List and has been featured in The Wall St. Journal, Fortune, Forbes, CNBC, and several others. Tom Gardner, founder of The Motley Fool, highlighted Selim as the “Best CEO of All Time.” Selim joined The Middleby Corporation in 1996 and became the Middleby Chief Operating Officer in 1999. He was named CEO in 2001, and three years later was appointed Chairman of the Board. Prior to joining Middleby, Selim worked for eight years in commercial food equipment. Before that, he worked in the healthcare industry for eight years. Selim attended the American University of Beirut, where he received a B.A. in Business Administration with Distinction and was the recipient of the David Dodge Scholar Award. He later attended Northwestern University Kellogg School of Management, where he earned his MBA. in finance and marketing with a certificate in Accounting. Mr. Bassoul has been honored as an Ernst & 1 of the Year and YPO International Legacy Award recipient. He serves on the boards of several corporate, civic and philanthropic organizations.